This one is interesting as the piece is dedicated to "Madame Camille Pleyel" (her first name being Marie), the wife of Camille Pleyel who owned the company that manufactured Chopin's favorite piano. The Madame Marie was at one point engaged to Hector Berlioz (a French composer) which was broken off by Marie's mother causing Berlioz to plot to kill Marie, her mother and her eventual husband, Camille. Berlioz didn't go through with it, despite stealing two double-barreled pistols to do the deed. Camille and Marie eventually parted ways after a four-year marriage with "multiple infidelities." So, dilemma might be an understatement. I was pleasantly surprised by my kids, as the Chopin Nocturnes are some of the best works ever written for solo piano. 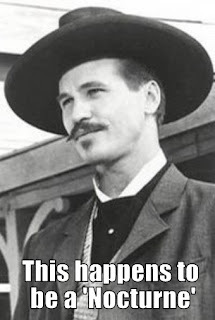 They persist in our culture in many ways, one of my favorites being from a classic scene from the movie, "Tombstone," in which Doc Holiday played by Val Kilmer (which might have been his best role) defends his preference for Chopin over the more locally popular Steven "Stinkin'" Foster. in e minor, Op. 72, No. 1 to be exact. Neither Doc Holiday nor Chopin invented the Nocturne, but the latter was an avid admirer of John Field (the Irish pianist/composer who did) despite Field reportedly not reciprocating the sentiment. It was not uncommon for composers to develop rivalries as each would influence the other as they published and performed new music, often lending the idea that certain ideas were "stolen" from them. Despite this tendency, Franz Liszt (who was born a year and a half after Chopin and became one of the most well-known virtuoso pianists of the Romantic Era alongside Chopin) and Chopin maintained a friendship, though one that almost certainly held a friendly rivalry. When looking for information about these two titans of the Romantic Era I found this brilliant webcomic from Kate Beaton, which imagines several conversations between the two, wonderfully contrasting their personalities. As far as Op. 9, No. 2 goes, it is an atypical example of his collection as it is not in what is known as Ternary Form. This form can be labeled as having and A section followed by a B and a return to A (or A-B-A). Both A and B are considered substantial enough to stand by themselves and are contrasted from each other to the point of independence. This Nocturne, however, is in the similarly constructed Rounded Binary which has a notable difference of not requiring the B section to completely contrast with the A and the cadences (or endings) of the B section does not have to be an Authentic Cadence (meaning that it returns to the tonic chord from the dominant). 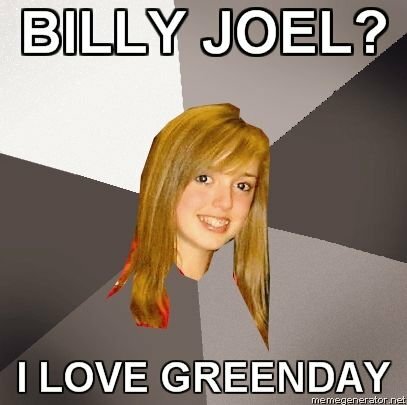 Also, the second time you hear the A following the B, it usually is not a full rendition of the original A. Homework: Write about each section of the form (A, B, and the Coda (or C) as if each part of the form represents different characters (such as in a novel or movie, etc.). You can leave your answers in the comments. Johan De Meij: T-Bone Concerto, Mvt. I "Rare"
The T-Bone Concerto was written by the Dutch composer Johan De Meij (b. 1953) after a commission by the Kentucky Music Educator's Association in 1996. De Meij himself studied trombone at the Royal Conservatory of Music in the Hague, but this was the first work for solo instrument that he had written. The piece consists of three movements, labeled: Rare, Medium, Well Done. I couldn't find anything related to the obvious pun in the title of the work and I've often wondered what possessed him (if anything beyond just being a Dutch trombonist) to title his work as such. He does have other works with unique names such as "Extreme Makeover" (featuring music from a Tchaikovsky string quartet) and the "UFO Concerto" for Euphonium, so I guess this is par for the course. De Meij is also an evident Tolkien fan, as his first symphony written for winds was entitled "The Lord of the Rings" and featured 5 movements around primary characters and locations in the series. We'll save that one for another LF. 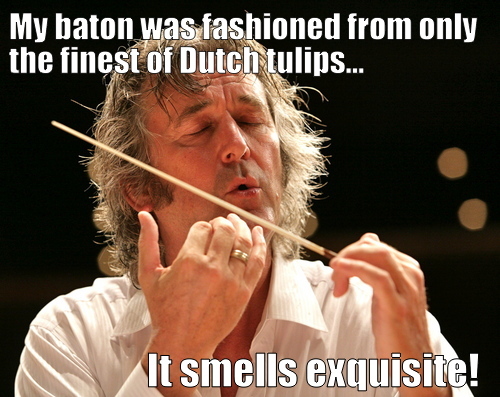 Something I've found personally interesting is De Meij's seeming preference for wind bands. 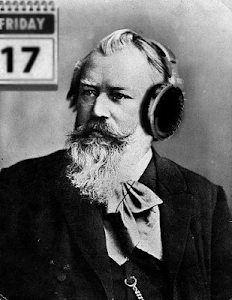 All three of his symphonies were originally written for wind band, only later being transcribed for orchestra. It's kind of nice to have someone as prolific as De Meij writing for that type of ensemble. The first movement of the T-Bone Concerto has a similar sense of "epic-ness" befitting the Lord of the Rings with a long introduction featuring thematic material from the third movement beginning slowly and increasing in mass leading up to the arrival of the soloist. The whole movement follows an A-B-A form (which could be considered a lengthy version of the Ternary form), meaning that the initial theme transitions into a secondary theme (which is softer and more lyrical) and then back to the primary theme with some different orchestrations leading up to a climactic ending. The whole work is an exercise in physical endurance, technique, and range for the super trombonists of today. It is also available with piano accompaniment if you can't find a large group of instrumentalists to hang out with you on the weekend, but the piano reduction leaves much to be desired from the original work. The best recording I've heard of this piece comes from Joe Alessi's album, Illuminations. The recording presented is the best I could find on YouTube. Homework: Write a brief biography of a hero (super or otherwise) that is inspired by this piece. You can share your answers in the comments. A Brief History of "Listening Friday"
I began teaching in January of 2007. One of the earliest difficulties I had with teaching was Fridays. I found out quickly that due to the inherent proximity to the weekend, no one wanted to do anything that even remotely resembled work. Myself included. However, as an aspiring, young music educator, I felt compelled to make the day useful (or at the very least not unproductive). Another issue I had with my students is that many of them listened to absolutely terrible music. Finding this behavior to be counterproductive to my imparting them with the desired musical knowledge, I began scheming. I tried haphazardly playing music for them and forcing them to listen with mixed results. I found that most of the time they would find this activity less than desirable and make requests that I put on "Lil' Wayne" or let them read "Twilight". One day, it dawned on me: Friday is a colossal waste of time for everyone. I was sitting in a faculty meeting (which coincidentally is also a colossal waste of time for everyone) while we were being lectured on the fact that most of our children can't write a sentence without using emoticons. We were being told that as teachers we were required to change that by taking valuable class time that was supposed to be devoted to something useful (like actually teaching our subject) and instead use that time to make our students write anemic essays on uninspired prompts. Suddenly, I saw an opportunity to solve my problems of nonproductive Friday's, vapid musical tastes, and banal writing from the children of America. It was simple, it was fresh, and it would work. 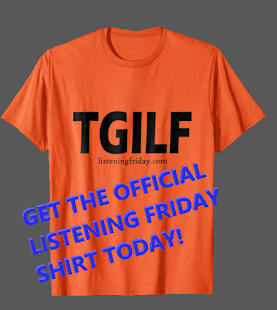 I presented it thusly, "Listening Friday" is a time where we listen to short excerpts of music (I've found that two bits around 5 minutes each is the maximum your average high school kid will endure) and then write about them. Sometimes I prepared questions, or I asked for a drawing or comic, sometimes I just said, "Go!". Some kids invariably just did the minimum, and sometimes lower. Yet, every so often I'd find a gem in their responses or make a connection with a kid where they might explore the music they heard further. Sometimes, they would end up looking for it far beyond the walls of my classroom. That's where I felt I did the most good. This blog will be an extension of that classroom activity, because the more I did Listening Friday, the more I too was inclined to discover new and different music to use and share with my kids. 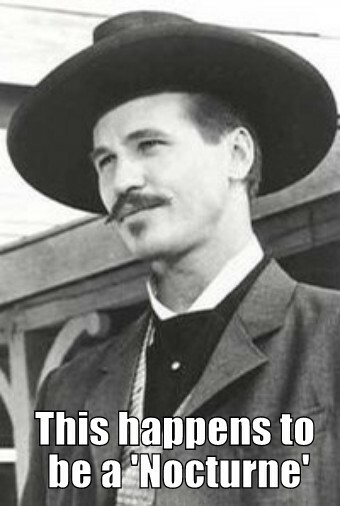 I also felt compelled to share it with my friends (musical and otherwise) through annoying posts on Facebook and the like. There is so much wonderful music in the world, and it is such a uniquely human experience- to not share it would be an injustice. Therefore, I intend to use this site as a platform to share my musical knowledge and hopefully learn a few things as well. I will, as the title suggests, update this regularly on Friday's and I encourage you to read through and share it. Particularly if you are a music educator! I will write in a school-appropriate manner (though I bear no personal responsibility for any detrimental effects to your students). It is my hope that this site will become a catalog of some fine music and music history as it develops. Most of the time I will try to find some sort of publicly accessible source (e.g. YouTube) for the music of the week, but sometimes I will also give recommendations to recordings that I like (or that I have heard are great). For Brevard music teachers, you have access to Naxos, which will help. For everyone else, spending a dollar on music at iTunes or Amazon won't kill you. I do not condone the illegal downloading of music as a point of interest.